Take the ab wheel and position yourself on your hands and knees on the floor. 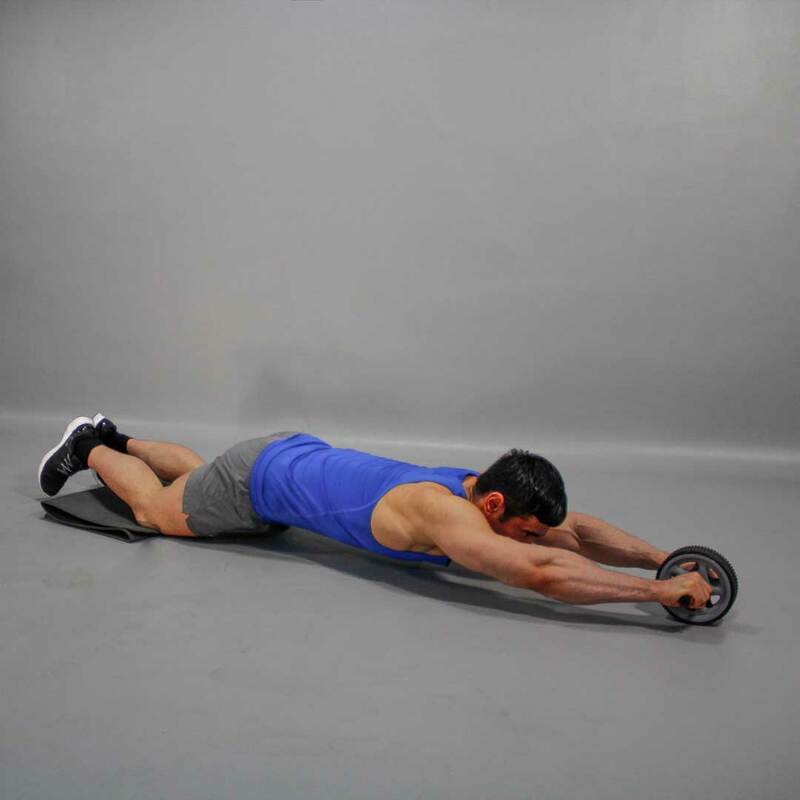 Place ab wheel with extended hands straight under your shoulders. Keep in position. This is your starting position. Inhaling, slowly start to roll the ab roller straight forward, pushing and stretching your body. Go forward as far as you can without touching the floor with your body. After a pause at the stretched position, pull yourself back to the starting position as you breathe out while contracting (approaching).